Domestic air services around Sri Lanka are limited, and most tourists travel by either road or train. You can arrange charter flights with FitsAir (www.fitsair.com), Cinnamon Air (www.cinnamonair.com) or Simplify (http://simplifly.com). Sri Lanka has a widespread road network, which accounts for nearly 95% of land transport across the country. Driving tends to be erratic, and most travellers either employ a locally knowledgeable driver or use public transport. The quality of the country's road varies. The main coastal arteries are modern and well-maintained, while many of the mountain roads can be pockmarked with holes. Roadworks are common, demonstrating the island's increasing prosperity and its commitment to infrastructure development. E-class roads are high-speed expressways, while A-class roads represent the national highway network. B-class and C-class roads tend to be smaller and of varying quality. This is available from several international agencies, including Hertz, Dollar and Thrifty, which are available through local partner Andrew The Car Rental Company (tel: +94 11 2369 836, http://andrewrentacarsrilanka.com). Air-conditioned minibuses are also available, and you can hire motorised rickshaws in towns and villages. Chauffeur-driven cars are less expensive and recommended. To hire a car, you must have a valid driving licence and be 18 or over. These have yellow tops and red and white plates. In Colombo, taxis are metered but it's advisable to agree a rate before setting off. Drivers expect a 10% tip. A cheaper and more authentic option is to flag down a tuk-tuk - these open rickshaws are available for hire in abundance across the country. Cycling in the cities is inadvisable, but in rural areas bikes are becoming increasingly common. There are four National Cycle Trails. Most bike hire agencies are concentrated in Colombo and Negombo. The cheapest and most fun way to get around Sri Lanka is by bus. There are two types - public and private. Long-distance public buses are atmospheric and packed with chattering locals, though they can be crowded. For a guaranteed seat, consider a private coach company of which they are many in Sri Lanka. The National Transport Commission (www.ntc.gov.lk) publishes timetables and major routes include Colombo to Kandy, Colombo to Matara and Colombo to Jaffna. Once you're in a town or city, tuk-tuks are available for hire. As the destination name can be long and hard to pronouce, write it down on a piece of paper instead. Most roads are tarred, with a 56kph (35mph) speed limit in built-up areas and 75kph (45mph) outside towns. The minimum age for driving a car is 18. The Automobile Association of Ceylon (www.aaceylon.lk) offers a national breakdown service. 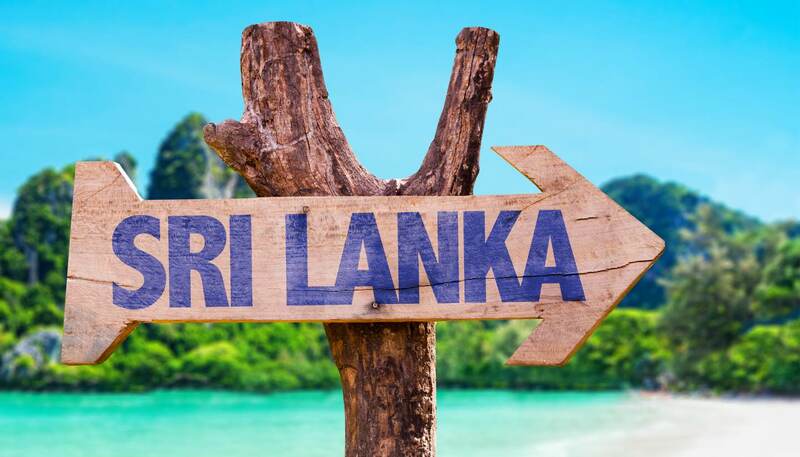 In order to avoid bureaucratic formalities in Sri Lanka, you should obtain an International Driving Permit before departure. If not, you can obtain a temporary licence on presentation of a valid national driving licence. This must be endorsed at the AA office in Colombo. The Sri Lanka Transport Board runs public buses in Colombo, where there are also private buses and minibuses. Fares are generally collected by conductors, and you can expect services to be crowded. 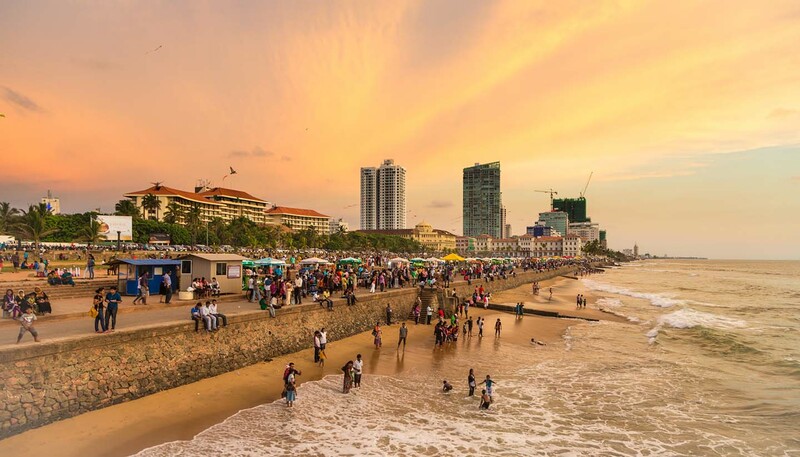 Trains connect Colombo with all tourist towns, but first-class carriages, air conditioning and dining cars are available on only a few. You can buy tickets online from Sri Lanka Railways (www.railway.gov.lk). Fast services operate on the major routes, including an intercity express service between Colombo and Kandy. A popular train route is from Kandy to Ealla, or the other way around, as it passes through lush tea plantations and offers spectacular mountain views. The journey takes about seven hours. First-class carriages almost always book up in advance, so it's best to secure your ticket early. There is no official river transport network, but several tour operators offer river cruises on the Bentota and Polwatta rivers.